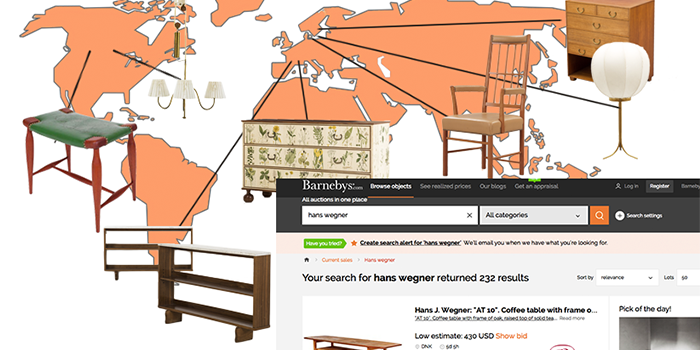 With Barnebys updated search function it's even easier to find what you are looking for. All items from auction houses and dealers from around the globe are ready to search right away. 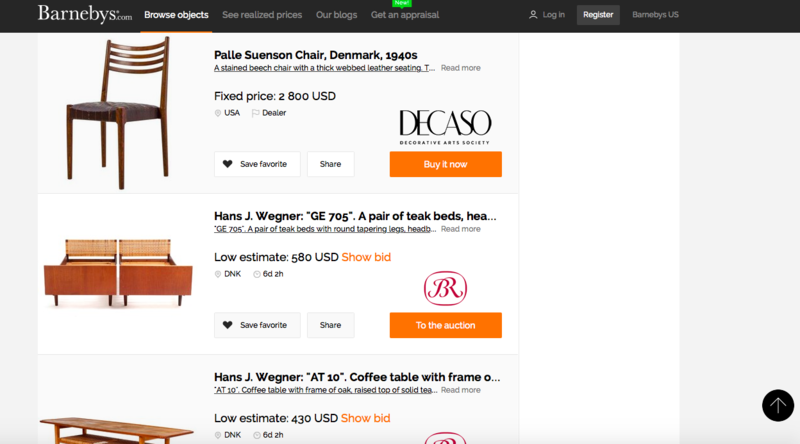 Our new search function showing results from auction houses and dealers worldwide. 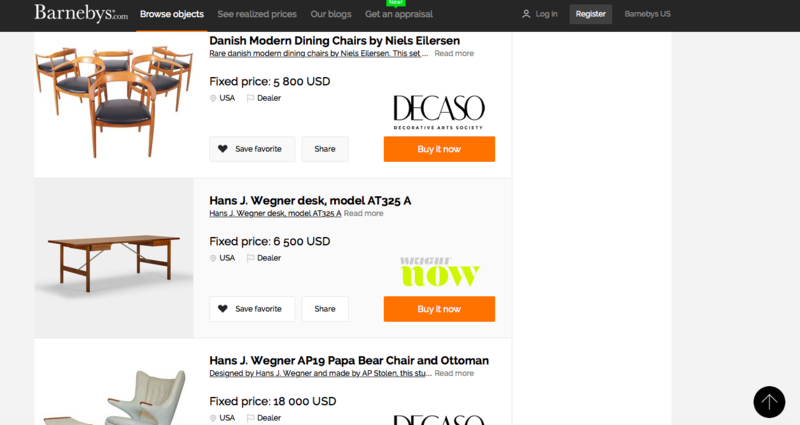 Type a search word, hit enter and now with Barnebys updated search function you will get results from auction houses and dealers worldwide. Previously, results were set to the U.S. only, but now you can find the best design from Denmark, art from Asia and pottery from Paris. The previous search function, which automatically returned results from the U.S. only. In other words, it is now even easier for you to find what you are looking for. What are you waiting for? Get searching here now.